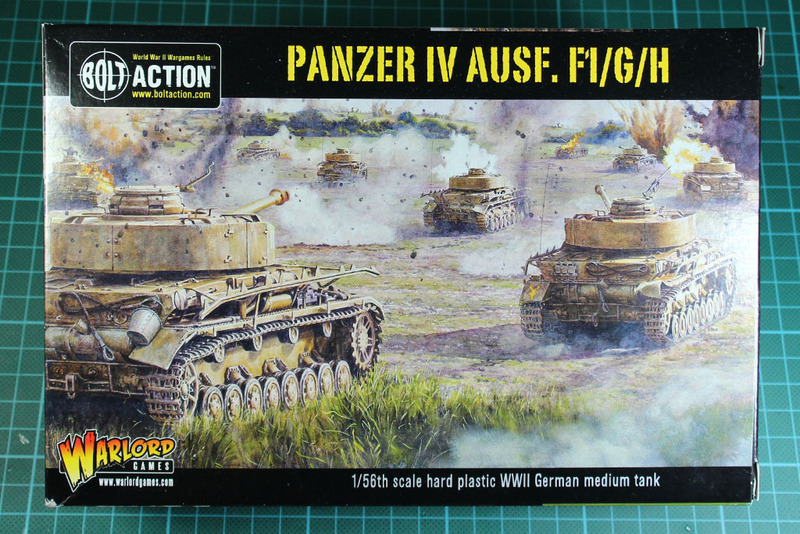 And today, in addition to yesterdays kit by Rubicon, i unbox the Panzer IV by Warlord Games for Bolt Action. 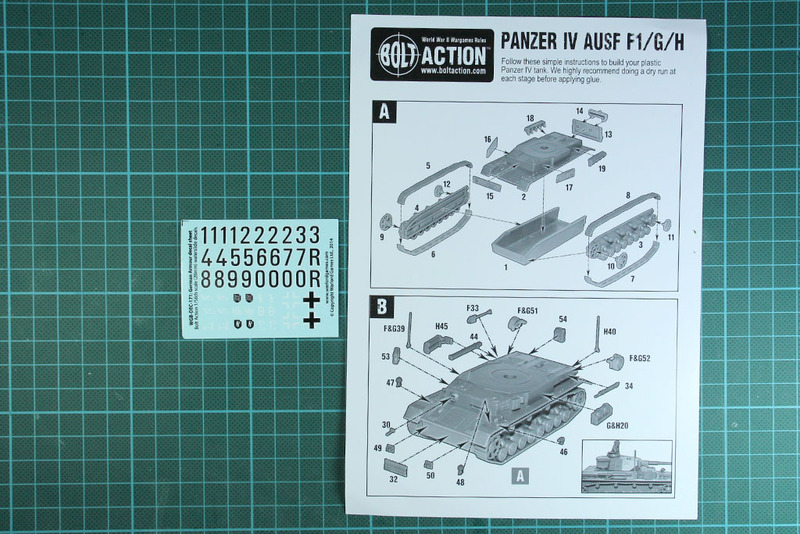 This one is although a multi-variant kit, with the F1 instead of F2, but G and H as well. 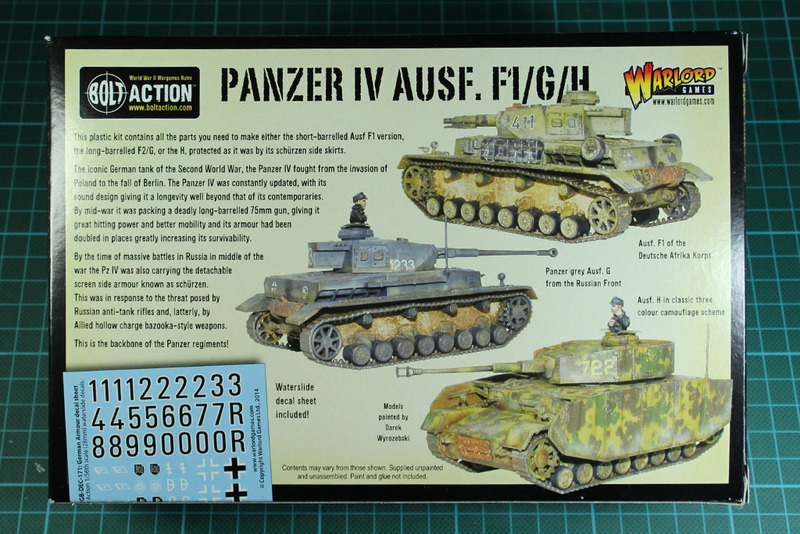 The Panzer IV is the most build tank of the Wehrmacht with 8,500 units and was the basis for many other tanks, like the StuG, Nashorn or Hummel. 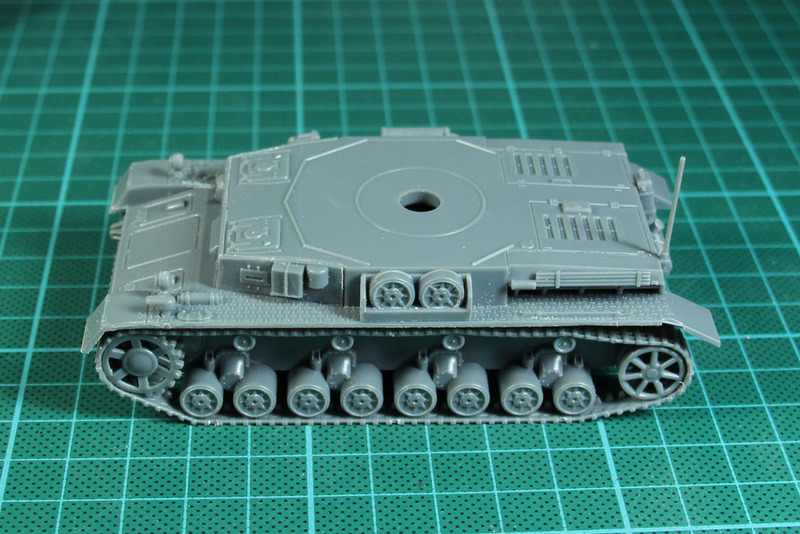 Warlord Games sets the price at 18 GBP for the new kit, making it 5 pound cheaper than the older resin kit. 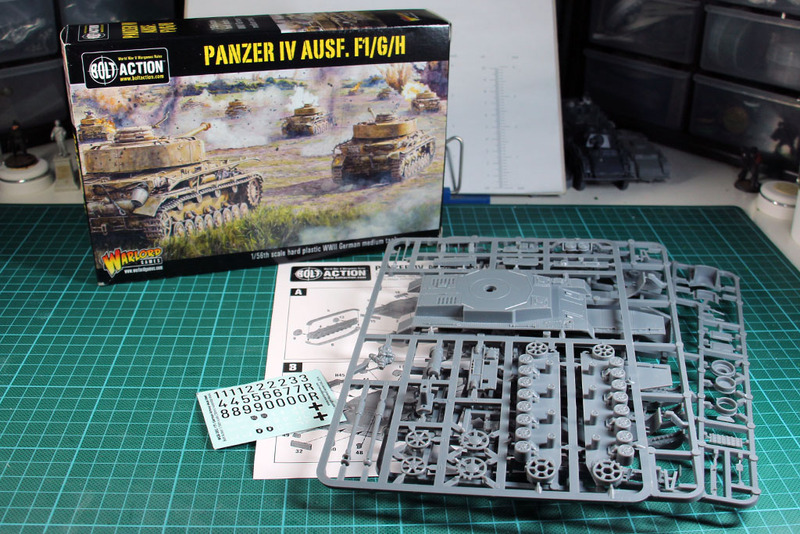 The box covers three sprues, a double sided instruction leaflet and a decal sheet. 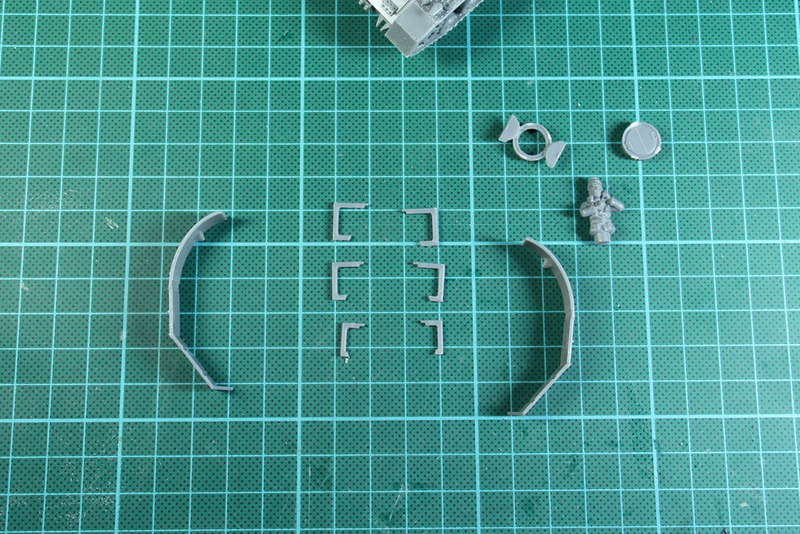 The casting quality is high, and you get a more solid sprue, like you are used by Renedra or the regular Warlord Games kits, not the thin model kit sprues, like for example Italeri. 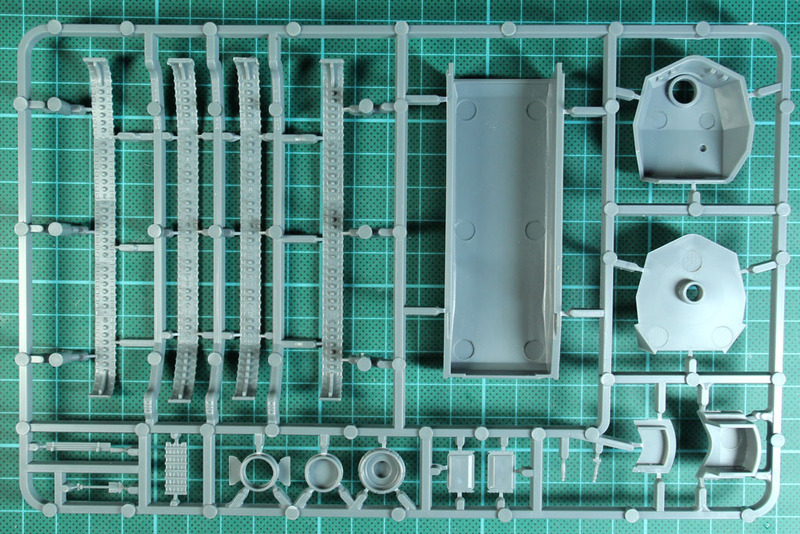 The sprues are filled nicely and the amount of details is impressive. 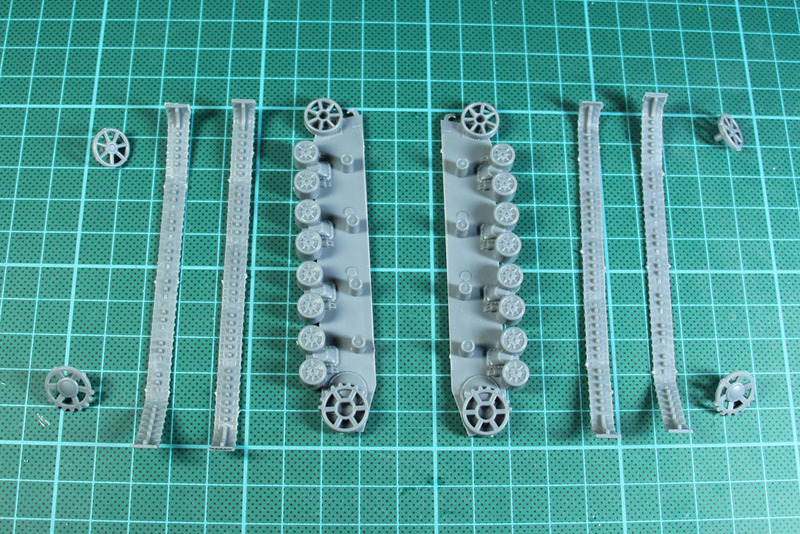 The tracks are multiple part and are put together from an upper and lower part, as used with the Warlord Games kits. 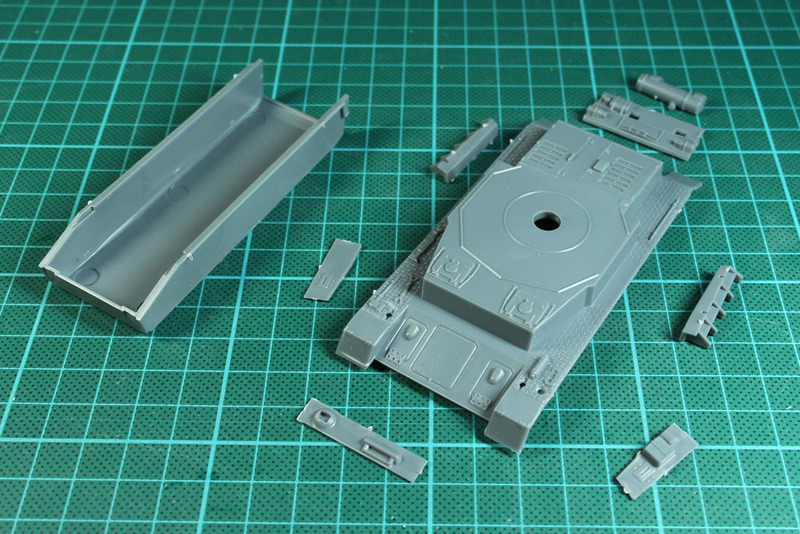 This has the disadvantage, that you have lower details up front due to the casting, maybe another way of splitting the tracks would help to get rid of this. 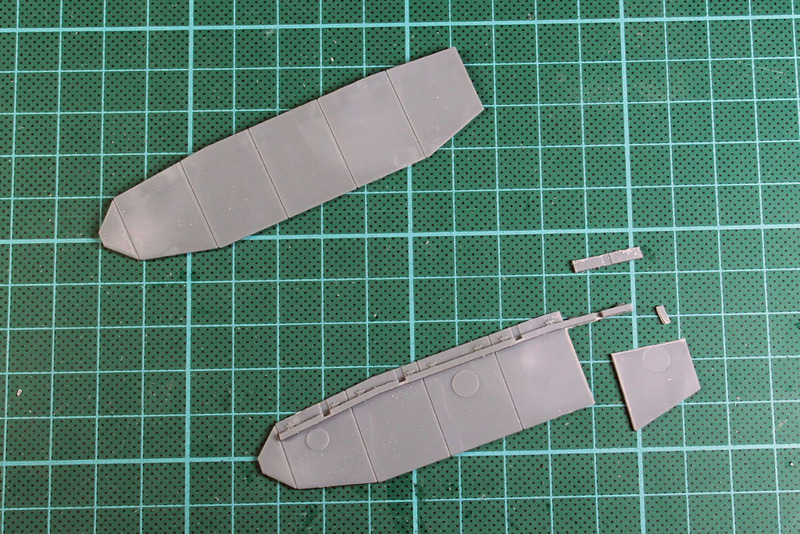 The hull consists of a designed upper and lower part, to which smaller tiles and additional details are glued to. 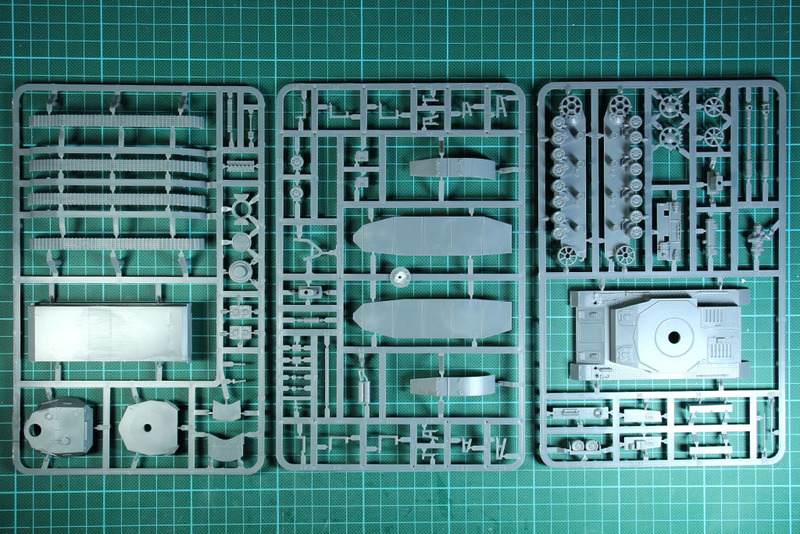 Those are quite a lot and part of it is optional, so you can vary them. 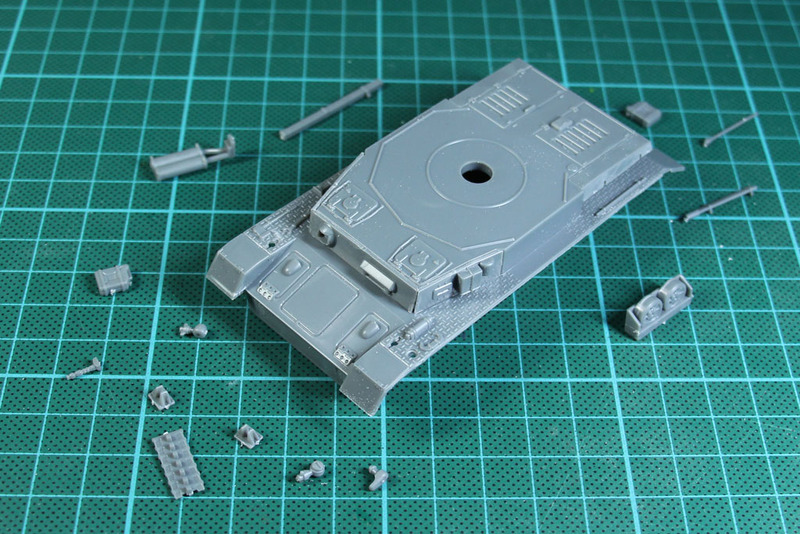 After we assembled the hull, the tools and spare parts are glued in place, and the tracks are glued to the underside. 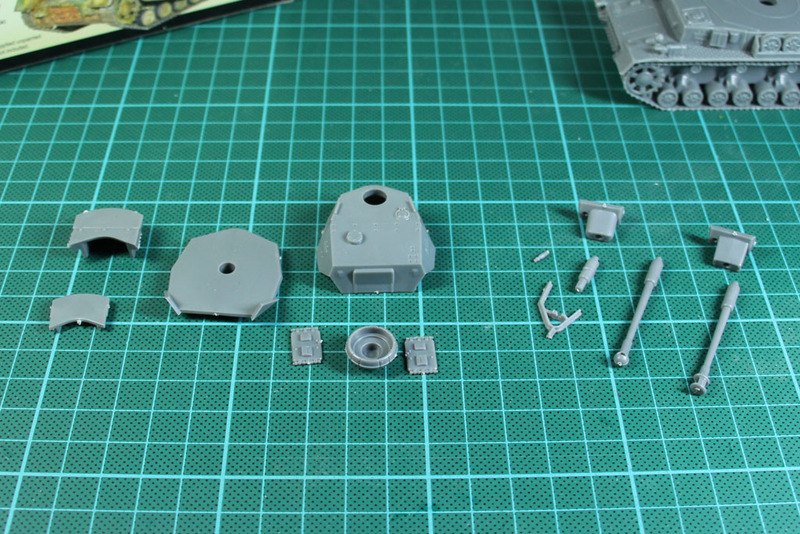 As this kit covers the Ausführungen F, G and H, you get to choose from between the 7,5-cm-KwK 37 L/24 (short howitzer of the Ausf. 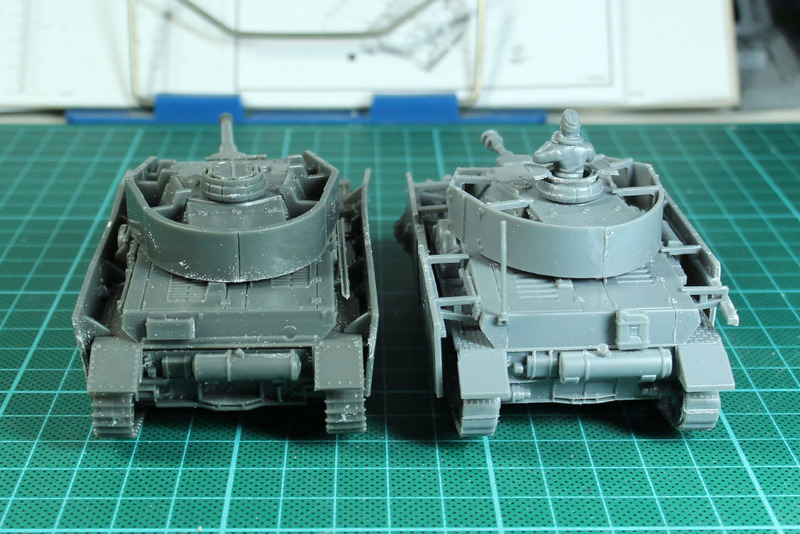 F1), 7,5-cm-KwK 40 L/43 and L/48 (different muzzle brakes) and the mantlets. 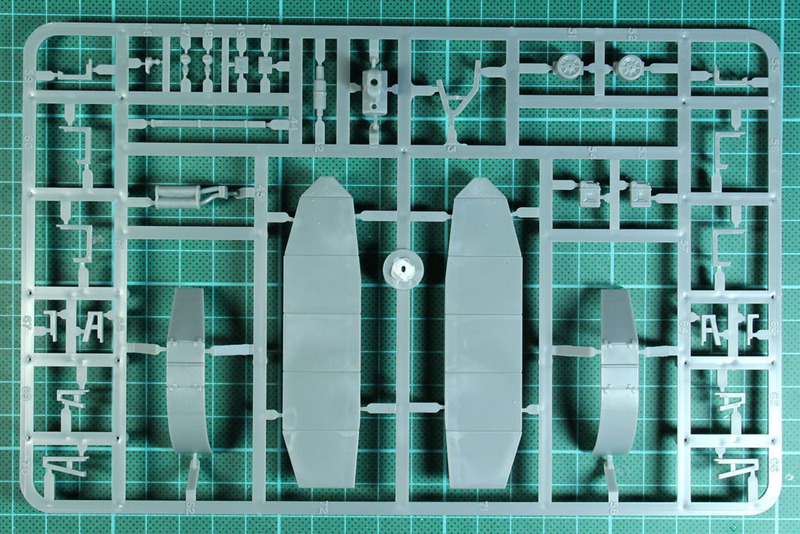 In this case, i used the parts from the KwK 37 and KwK 40, to create a 10,5 cm Kw.K. 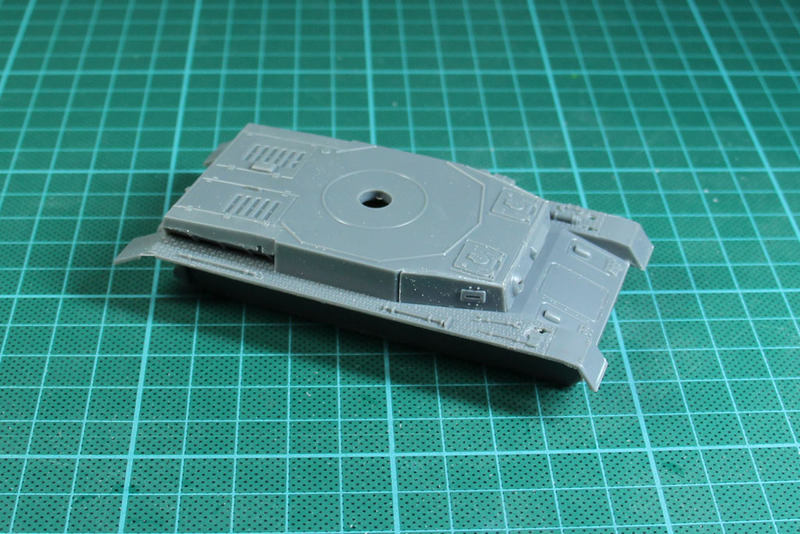 L/28, which never was mounted to the Panzer IV in reality, but is a gun option that is available in World of Tanks. 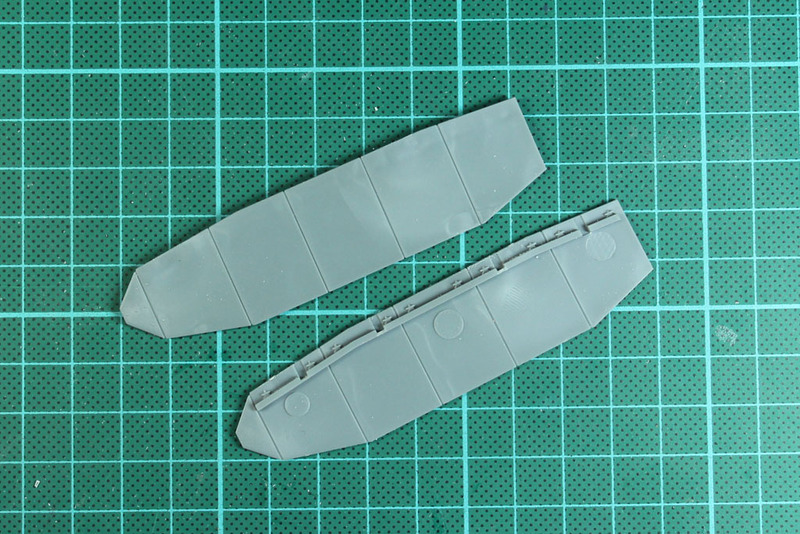 And last but not least, this kit covers optional skirts, which were a fixed part of the Ausf. 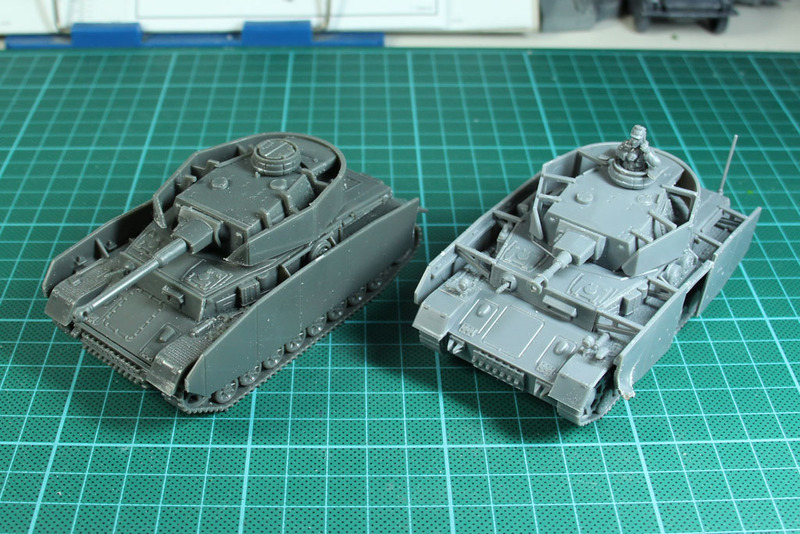 H. I used the chance and modified those to make them look battle damaged. 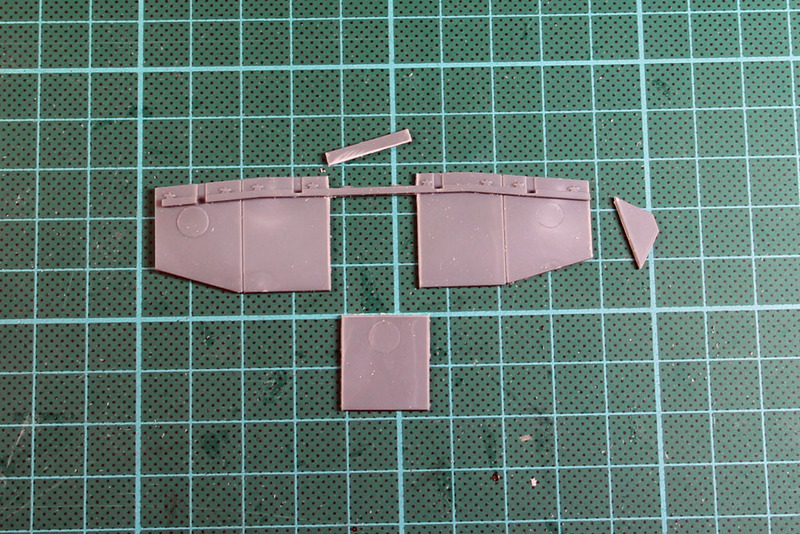 With a lighter and a pair of plyers i added further damage. 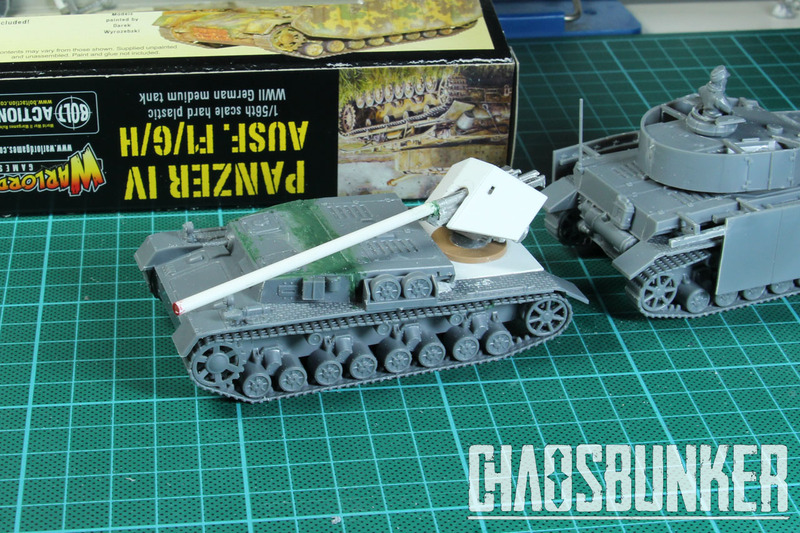 And this is how a Panzer IV Ausf. 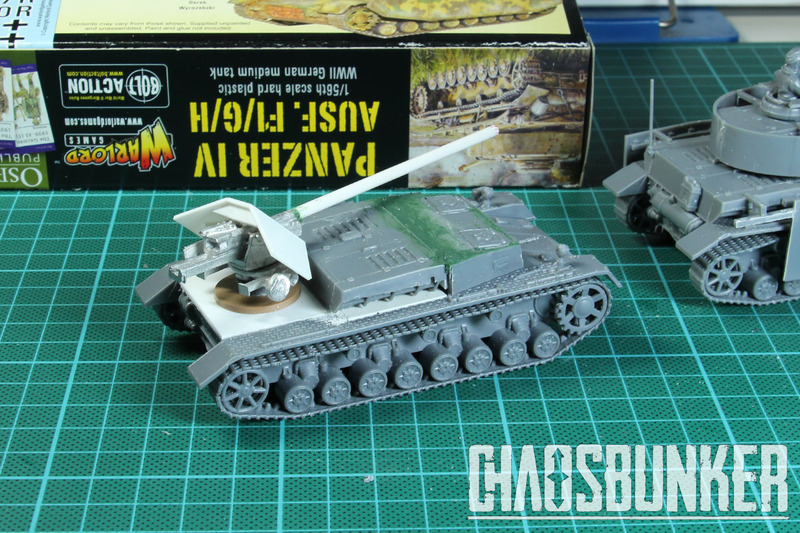 H with “Derp-Gun” looks like, in comparison with the SdKfz 234/2 Puma. 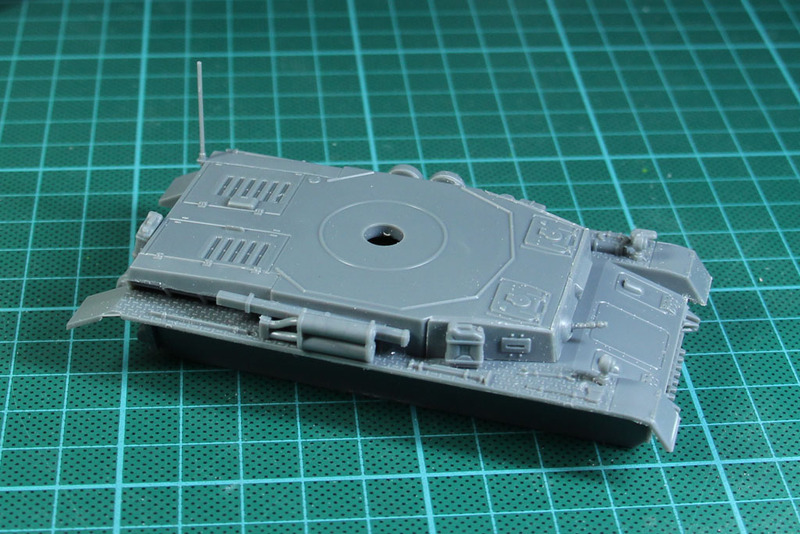 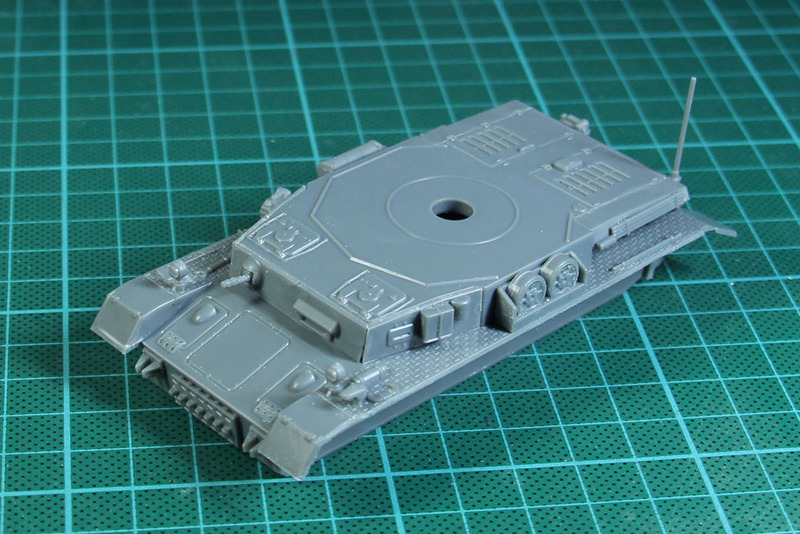 In comparison with the Rubicon Models version, the Warlord Games one has the sharper details and better fit. 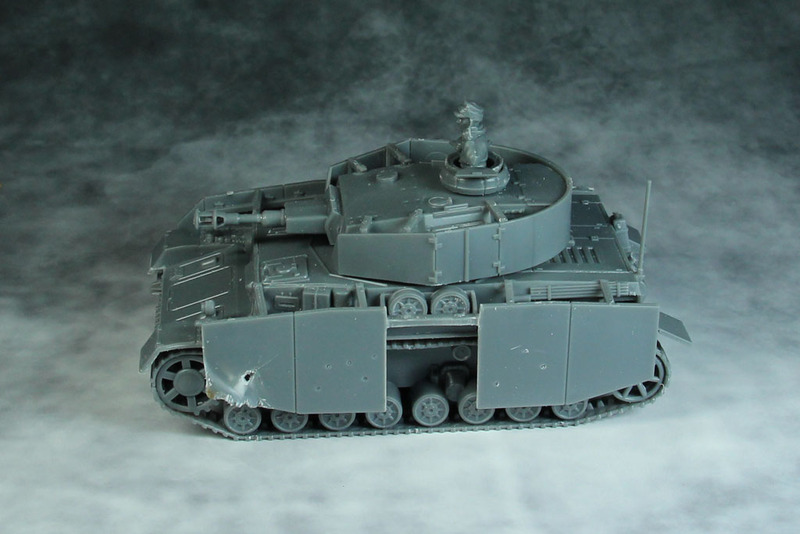 Beside that, the skirts are historically correct among other details, where they did a better research. 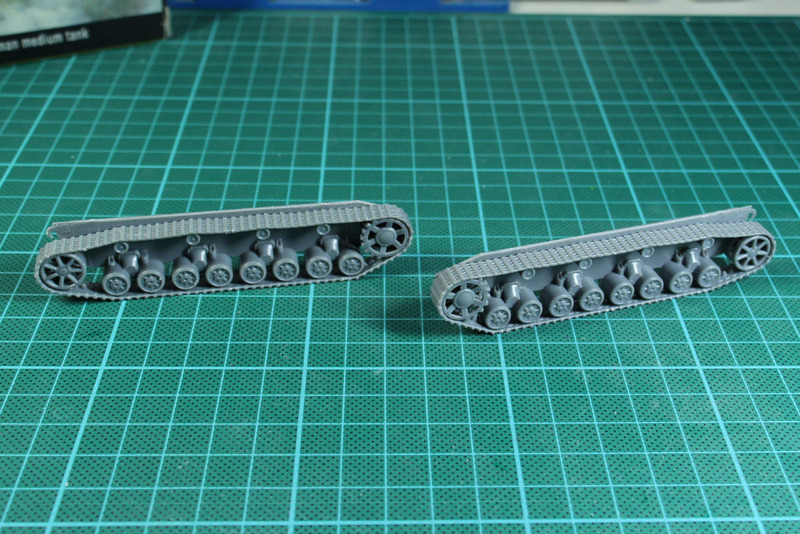 A view from different angles. 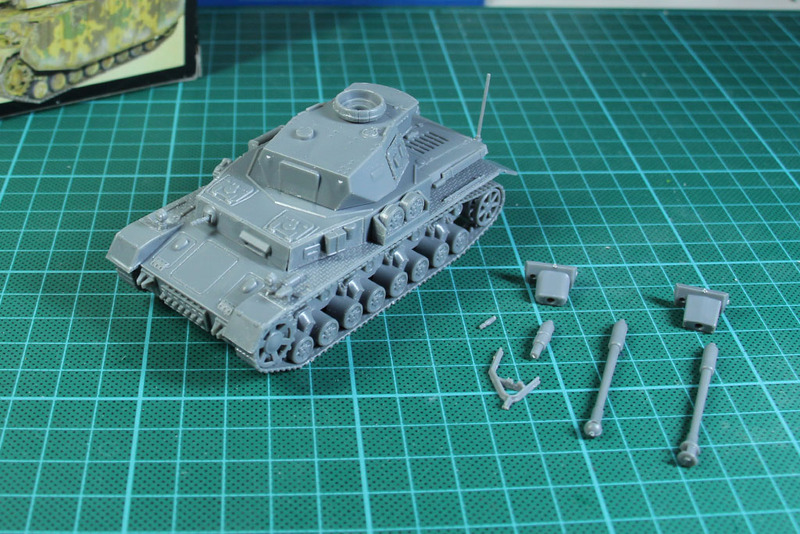 I used a second kit of the Panzer IV and built a Waffenträger auf Panzer IV, another fictional tank from World of Tanks. 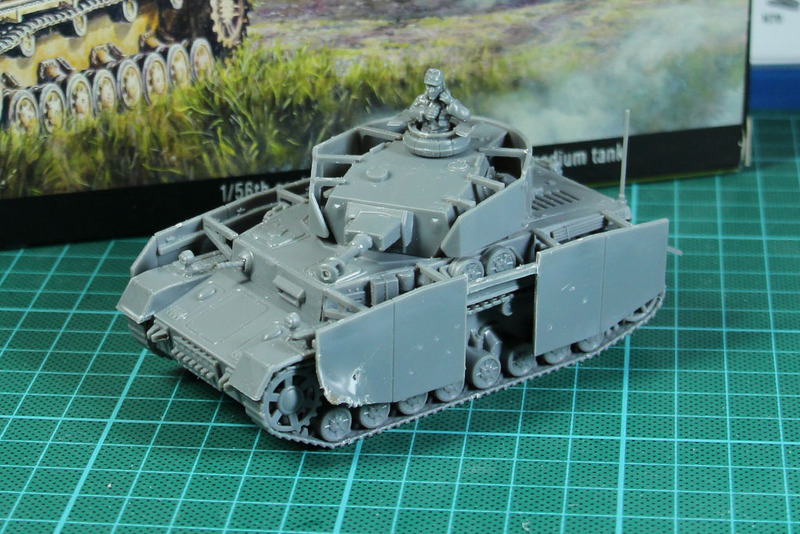 Warlord Games learned a lot from the last kits and listened to the feedback. 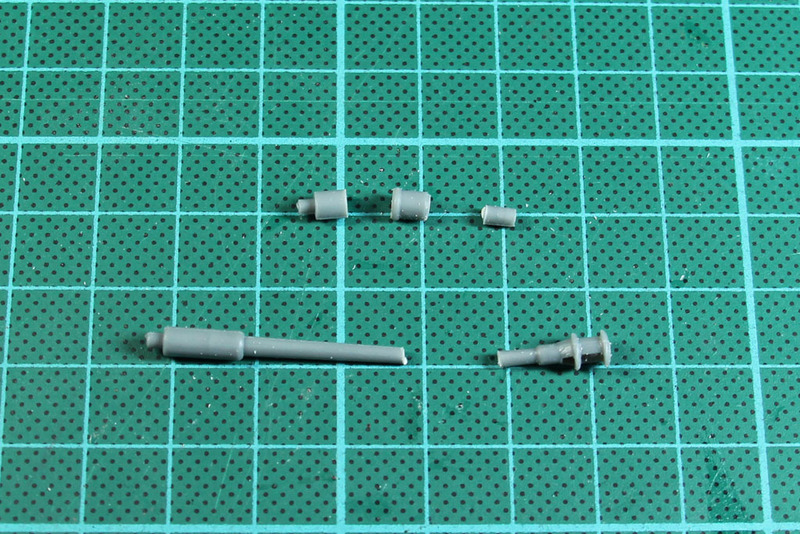 The fit is good, the casting quality is satisfying and the price is right. 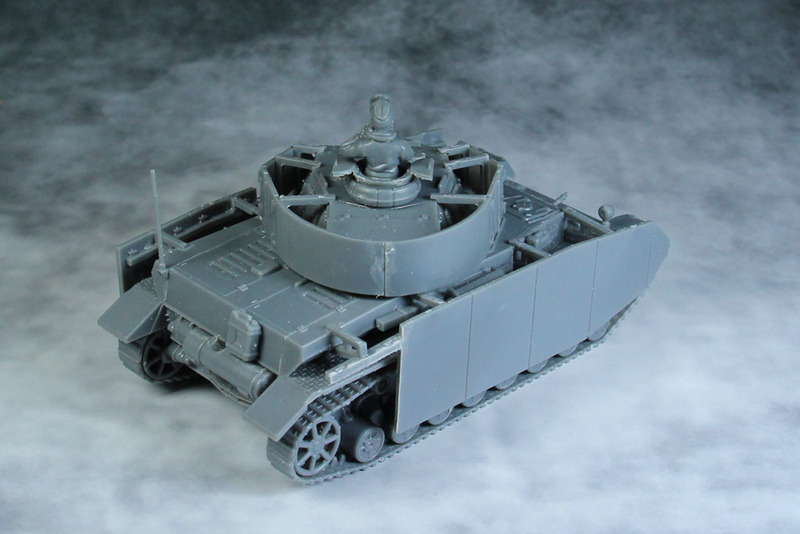 You get plenty options and you have parts to choose from, to individualise your tank, which is a great. 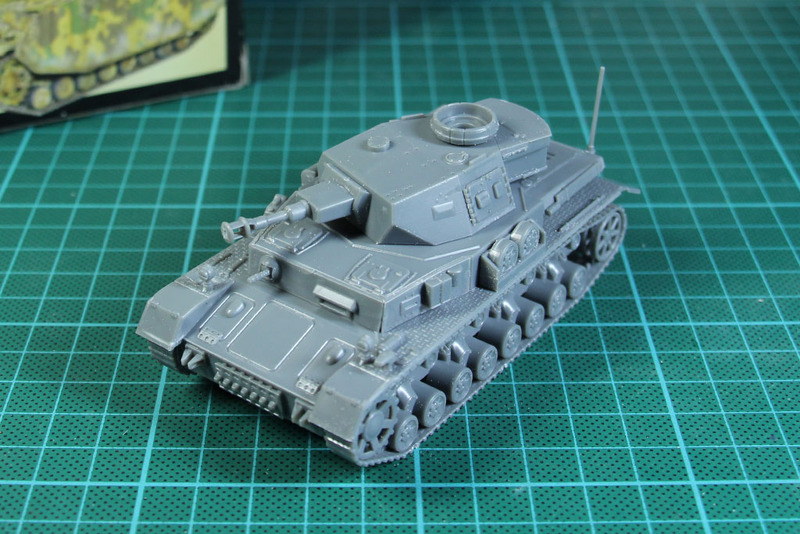 By that, the Panzer IV just promotes itself to be bought multiple times (either as the Panzer IV itself or as a base for conversions). 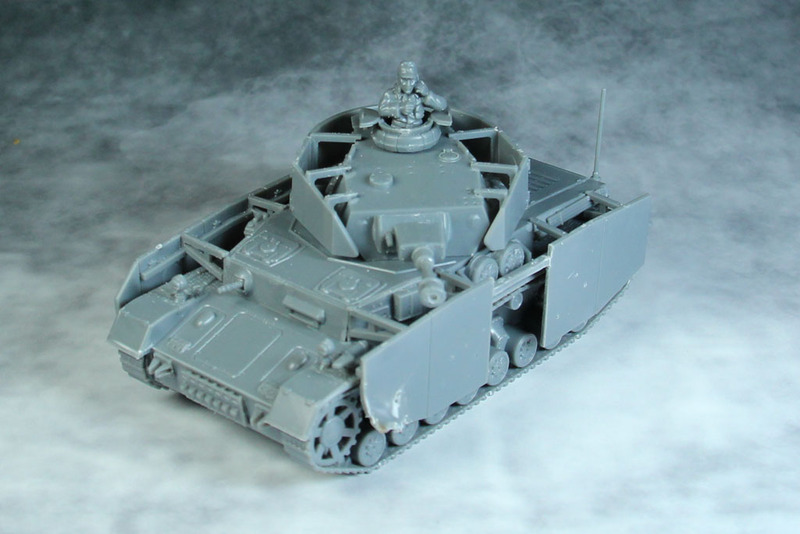 And that they didn't go with Zimmerit is another good thing, as Warlord Games tends to put it on their tank. 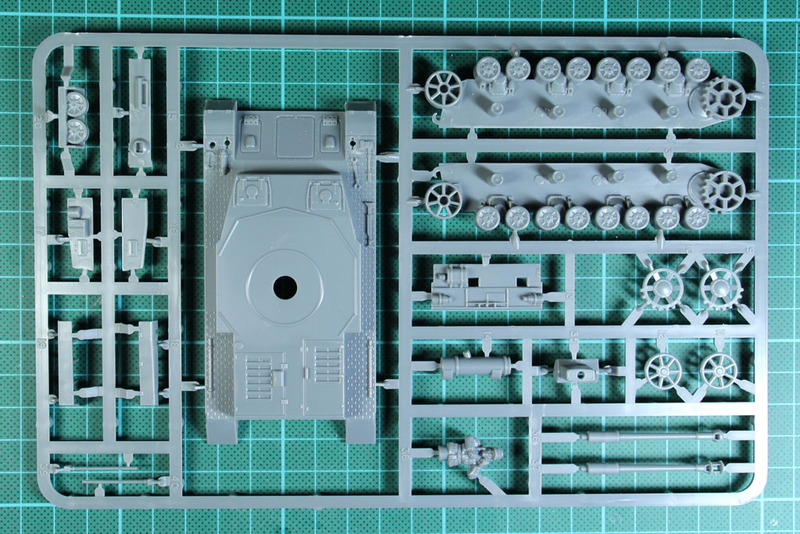 On top of that, the tank commander finally is on a detail level, that it is comparable to the lead or plastic kits of the range. 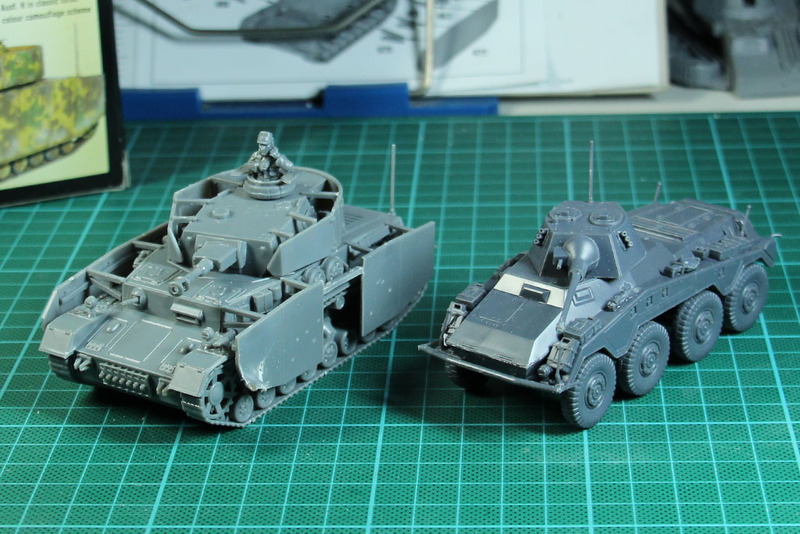 To sum it up, it's a balanced kit, that can be used in every german army, western or eastern front, Afrika or as a captured vehicle with the allies. 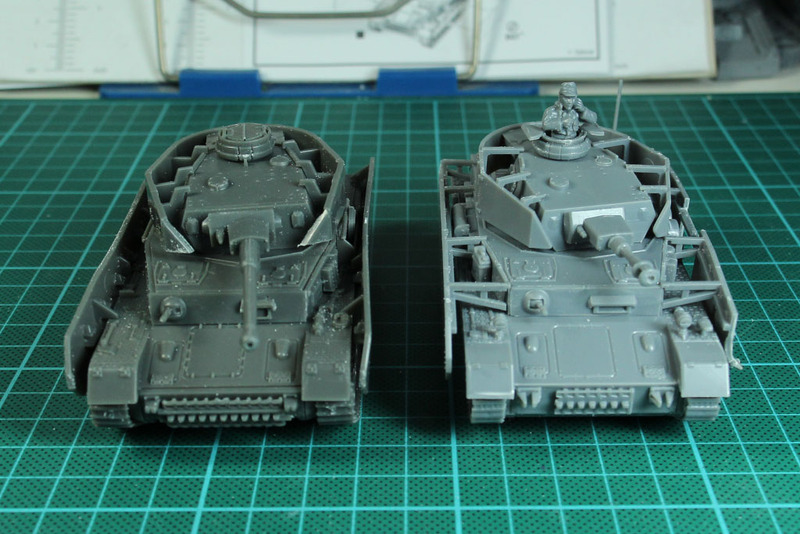 It won't be the last Panzer IV, that found its way into my collection (among others, the PzSfl IVc is waiting). 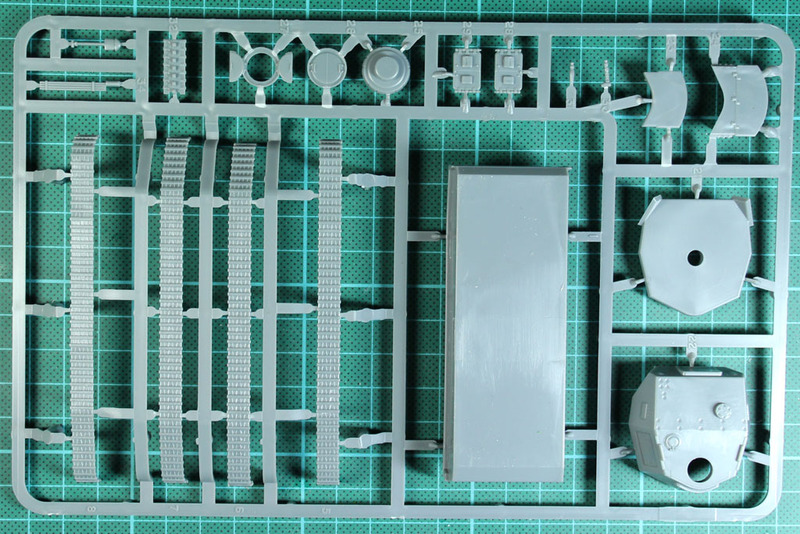 The kit was provided by Radaddel.